Good friend of the Good Friends Matt Quiett interviewed us recently for the Nerd’s Domain podcast. 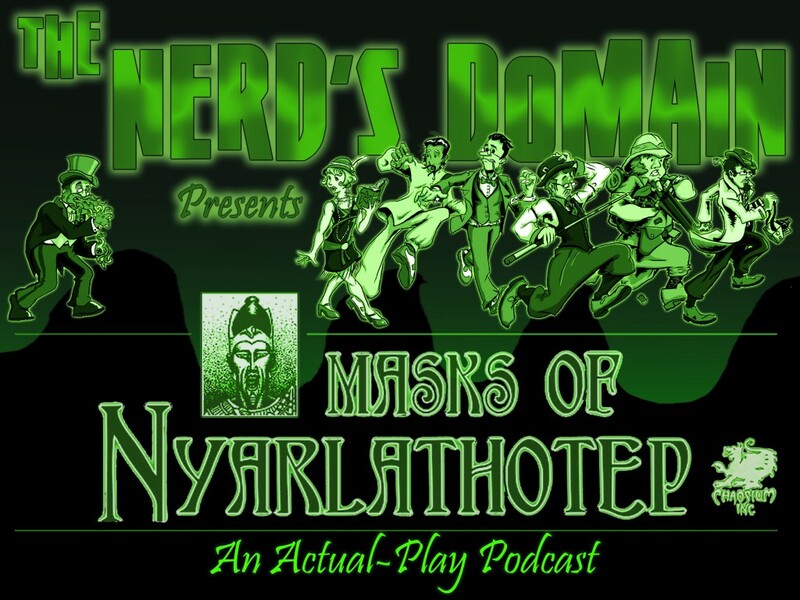 As you no doubt know, Matt and friends have been posting recordings of their Masks of Nyarlathotep campaign for some time, and are now wrapping it up with a series of post-mortem discussions. This latest episode involves the three of us sharing our experiences about Masks, building on our own recent episode on the subject. Happily two of us managed to offer cogent thoughts, while Scott mostly went “Um”. In his defence, the last time he ran Masks, R’lyeh stood proud above the ocean and shoggoths still knew their place.